You’ve found the perfect door and your remodeling project is almost complete. As a result, it’s time to choose a door knob to finish the job. So, come to Builders Surplus to check out door locksets in polished brass or satin nickel and in a variety of styles. 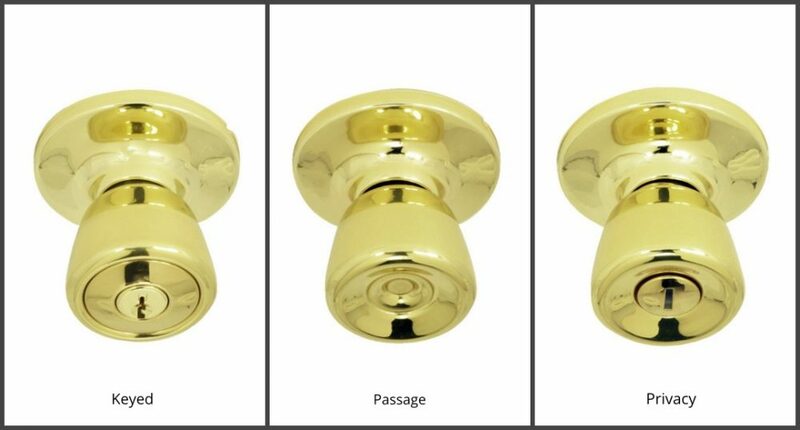 Polished brass knob locksets are available in passage, privacy, keyed entry, plus keyed entry and single cylinder deadbolt styles. 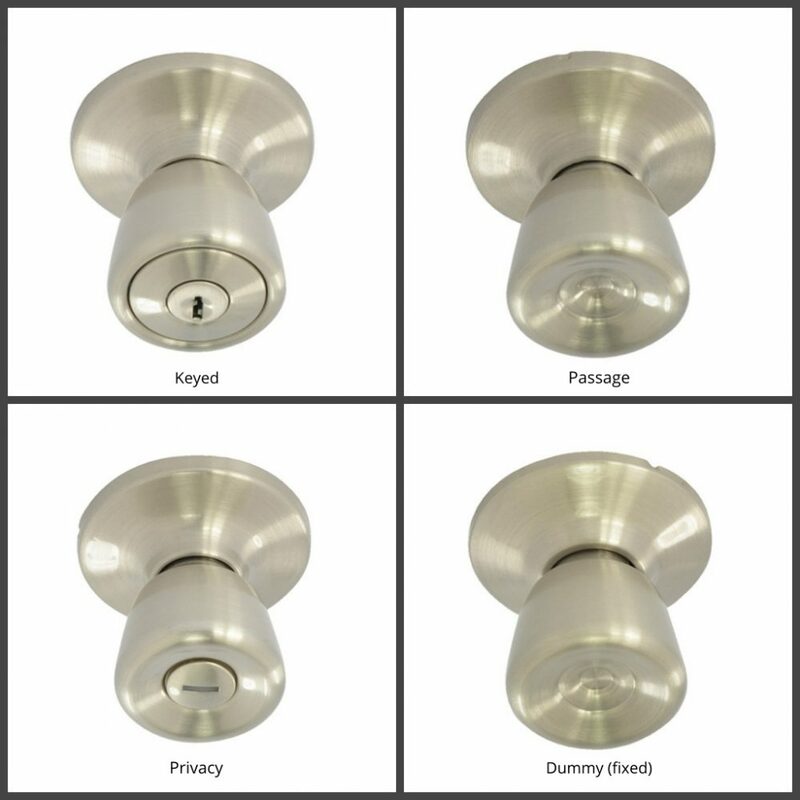 Satin nickel knob locksets are offered in passage, privacy, keyed entry, keyed entry and single cylinder deadbolt plus dummy (fixed) styles. 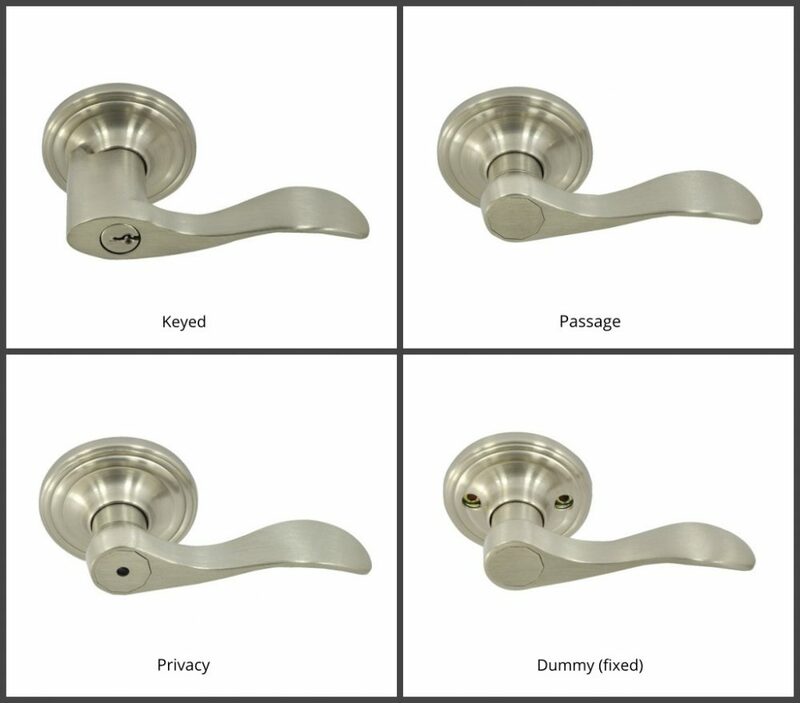 Satin nickel lever locksets are available in passage, privacy, keyed entry, keyed entry and dummy (fixed) styles. There are a variety of lockset styles. For example, passage locksets are commonly used for hall and closet doors. In addition, privacy locksets are found on bedroom and bathroom doors. Keyed entry is a secure lockset and needs a key to unlock the door. And finally, a dummy lockset allows entry at all times.